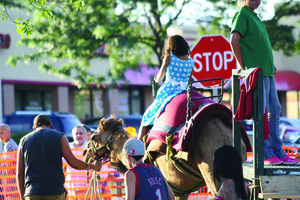 North Aurora Days will be held on Fri., Aug. 7 through Sun., Aug. 9 this year. 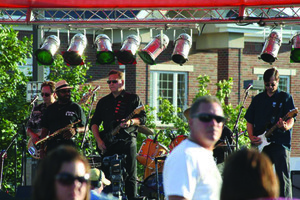 There will be live music, food vendors, various events and many activities for the whole family, including, but not limited to, amusement rides, the Baggo Classic, the annual Fishing Derby, Run for the Riverfront, the Pet Parade, and the Car, Truck and Bike Show. Don’t forget to stay for the fabulous fireworks display that will be held on Sat., Aug. 8. 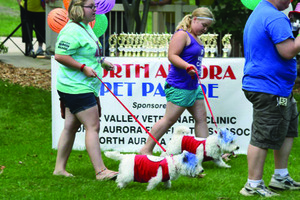 For further information and up-to-date schedule of events, please be sure to visit the North Aurora Days website at northauroradays.com and the North Aurora Days Facebook page! Hope to see you there! a form at the village hall or download the garage sale registration form from the North Aurora Days website at northauroradays.com. There is no cost to register. Please submit the completed, signed registration form no later than Fri., July 24 in order to be included on the garage sale map. Any registration forms receivedafter this date will not be included on the garage sale map. Submit completed forms to the attention of Cindy Torraco at the Village of North Aurora, 25 E. State St., North Aurora, IL 60542. Completed registration forms may also submitted by email to ctorraco@vil.north-aurora.il.us. Garage sale maps will be available at the village hall and also on the North Aurora Days website (northauroradays.com) by July 28. All registration forms that are submitted by email will get a response, therefore, do not assume a form was received unless you receive a response from the village. All Village Board, Committee of the Whole (C.O.W. ), Plan Commission and Committee meetings will be held at the North Aurora Village Hall, in the Village Board Room at 25 E. State St. (unless otherwise posted) on the Village of North Aurora website at: vil.north-aurora.il.us. pickup will be on Sat., Sept. 12.
must be loaded by residents as delivery is not available. using the watering tips provided with your new tree. the village to help prevent new mosquito breeding sites. village or to ComEd at 1-800-334-7661.
where the on-call staff member will be notified. Mailboxes: Is your mailbox installed properly? II. Please be aware of these road projects this summer.